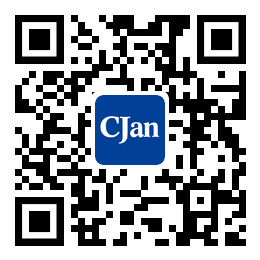 ﻿ The Suggestions of Rubber Tubing Storage (II) - CJan Fluid Technology Co., Ltd.
3. Connecting with other material. Rubber tubing should not be exposed to solvents, fuels, oils, fats, unstable chemicals, acids, disinfectants, or general organic liquids. Moreover, any kind of rubber can be damaged after the contact with certain materials or mixtures, including manganese, iron, copper and its alloys. And the rubber tubing can not contact with PVC or wood or cloth impregnated with mixed oil. 4. Temperature and humidity. Recommended storage temperature: 10 to 25 degrees Celsius. And we should be careful that the rubber tubing should not be stored at temperatures above 40 degrees Celsius or below 0 degrees Celsius. We should take special care when moving rubber tubing below minus 15 degrees Celsius. The rubber tubing should not be stored in the attachment of the heat source. The relative humidity shall be better than 65%. 5. Be exposed to the heat sources. The temperature limit as described in article 4 must be observed. If you can't do that you should use a heat shield to protect the rubber tubing from the heat source. 6. Be exposed to the light. Storage rooms that is used to store rubber tubing should be kept dark, especially to avoid direct sunlight or strong artificial light to illuminate rubber tubing. If the storage room has any openings in Windows or glass, it should be covered. 7. Be exposed to the oxygen and ozone. A rubber tubing should be properly wrapped or stored in a closed container to avoid exposing to the air. And we should not put the equipment that is easy to release ozone in the storage room, because the ozone has a particularly impact on all rubber products. 8. Be exposed to the electric or magnetic field. The storage room should avoid any situations that may generate electric or magnetic fields, including exposure to high-voltage or high-frequency generators.